As a system provider with a high degree of vertical integration and component competence Hoppe provides onboard proven hardware and sensors for the monitoring of major parameters required for the control of the motion response of any kind of floating object. All solutions are in-house designed or sourced from reliable partners tailored to the marine industry demands. Constant enhancement of the equipment and high quality standards ensure the fulfillment of the highest market standards to meet the market demands for smart and integrated sensors. All our monitoring equipment is dedicated to accuracy, reliability and ease of operation for onboard use. The system continuously monitors the contents and temperatures of ballast, cargo, fuel oil, and other liquids tanks. The electric pressure type sensors are a special inhouse design for marine applications, reliable, accurate and at highest levels protected against medium ingress and corrosion. The Electronic Inclinometer consists of an embedded sensor (sensor and computer in one common box) with interface ports and a bridge display unit according to IMO Annex 23 stipulations. The sensor allows realtime high sampled motion data to sufficiently measure the heeling at sea. HOSIM is a highly-accurate inertial measurement unit for the determination of roll and pitch angle, associated periods, as well as trim and list. The information provided by HOSIM can be used by subsequent systems or by nautical staff to better evaluate questions regarding cargo safety, ship performance and general ship safety. Based on the “hose water level” principle the system measures deflection and torsion. It is a hydraulic system – filled with water – with electric pressure sensors distributed in longitudinal and transverse direction of the particular object. For example, for floating docks the system is installed below the pontoon deck. With radar sensors the relative position between emerged objects can be measured. The sensors are distributed in longitudinal and transverse direction of the floating device. The system is used for launching platforms, heavy transport vessels or floating docks to assist the determination of the exact position of the dock piece before undertaking the ballast operation. The Cargo Safety module is an add-on based on Hoppe’s Inertial Measurement unit (HOSIM), allowing to monitor lashing forces at any predefined point on a solid body. The system allows the crew to freely set points of interest where critical levels of acceleration and respective lashing forces arise onboard of any kind of vessel. The system measures and monitors the vessel’s draught condition continuously. It determines the draught values precisely at perpendiculars and draught marks. The standard configuration includes four electric pressure sensors. 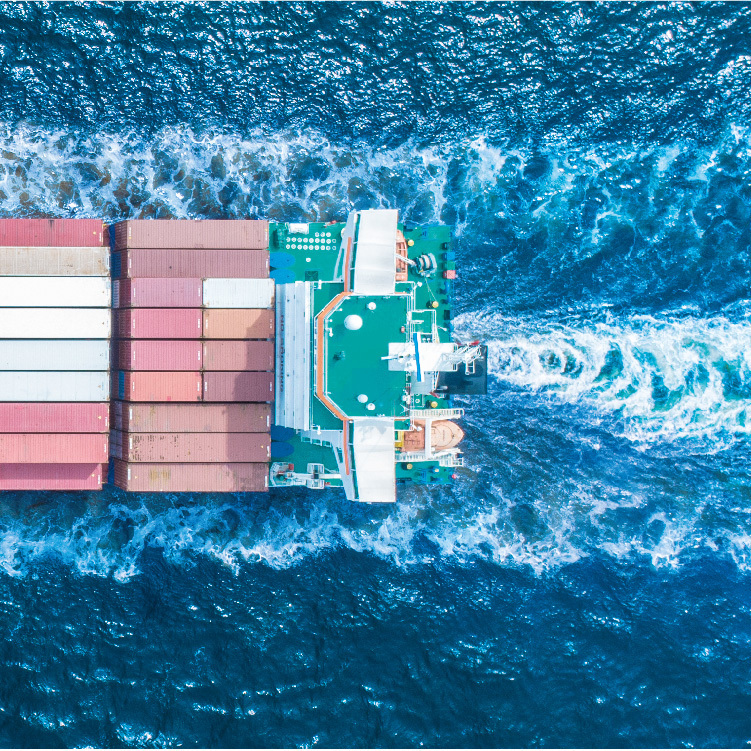 TRIMCON is a satellite-based system for the real time monitoring of a ship’s dynamic trim, heading and speed in longitudinal and athwart direction. The system assists the Nautical Officers with precise information on actual pitch angle and dynamic trim, and monitors the ships’ fore and aft relative motion with high accuracy during maneuvering (Conning). Load cells are used to determine the moments causing the vessel to change its floating condition (trim, heel and draft). With the help of these measurements the exact amount of counteracting ballast moment can be determined to automatically compensate variations in trim, heel and draft during loading operations. The loading computer software package COLOS is used to calculate the loading condition of any kind of vessel or offshore structure based on a theoretical model. COLOS allows the determination of the floating condition, intact and damage stability, longitudinal strength and special modules, such as cargo handling and simulation of dock operations. The software can access interfaces to consider external data for calculation and monitoring.